As we ease into Labor Day weekend, let’s remember that August marks both the birth and the passing of Lydia (Mattson) Swanson, my grandmother. 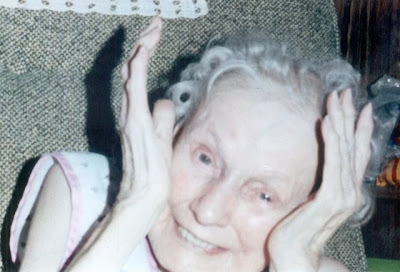 She was born on August 19th, 1908 in Gardner, MA and left us on August 29th, 1996. 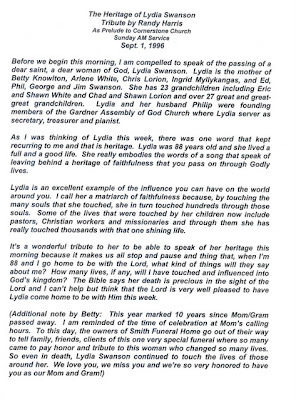 Lydia is a part of my heritage, and I choose to share my memories of her with all. My wish is that many learn from her example and that she may continue to rest in peace. This entry was posted in Family, Lydia, Philip, Philip and Lydia and tagged Heritage by Gary. Bookmark the permalink.